The Salvation Army is there to help with emergency food assistance. Every month, we see over 1,000 households accessing our Food Bank. 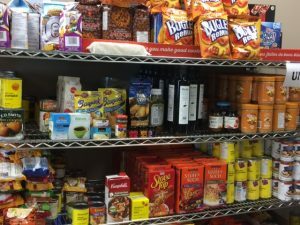 The Community and Family Services Food Bank is a choice model, meaning customers can shop for the food items that best fit their needs and the needs of their family. 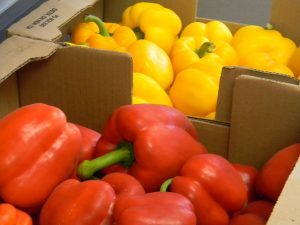 Our Food Bank program relies on the faithful help of our volunteers and committed donors. Nine times a year families and individuals can come to Community and Family Services and choose groceries. No appointment is necessary and everyone is treated with respect, dignity, grace and compassion. Identification , proof of income and address for all household members is presented on your first visit and yearly thereafter. Starting August 1, 2018: Wednesday 9:00 – 6:00pm the Second and Third Thursday of the month only!